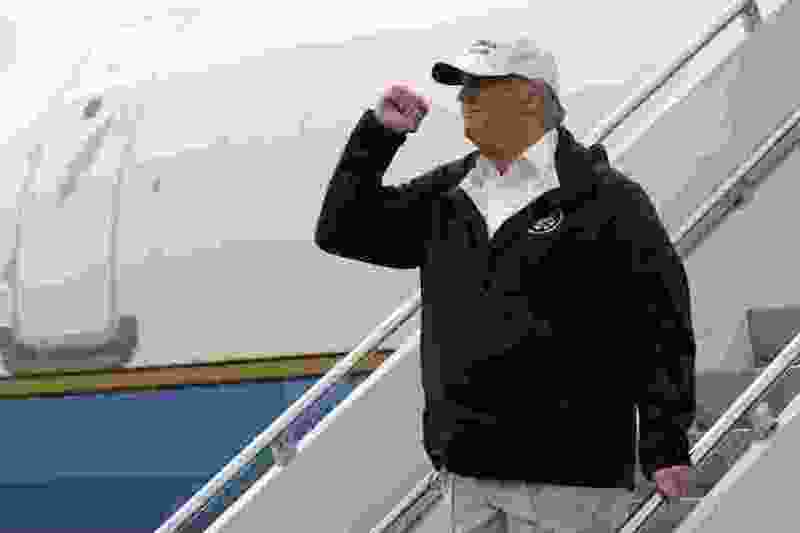 (Evan Vucci | AP Photo) President Donald Trump gestures after arriving at McAllen International Airport for a visit to the southern border, Thursday, Jan. 10, 2019, in McAllen, Texas. McAllen, Texas • President Donald Trump threatened on Thursday to declare a national emergency to circumvent Congress if he can’t reach a deal with Democrats to fund his promised border wall. He spent most of the day in Texas near the U.S.-Mexico border to draw further attention to his case after negotiations with lawmakers blew up. 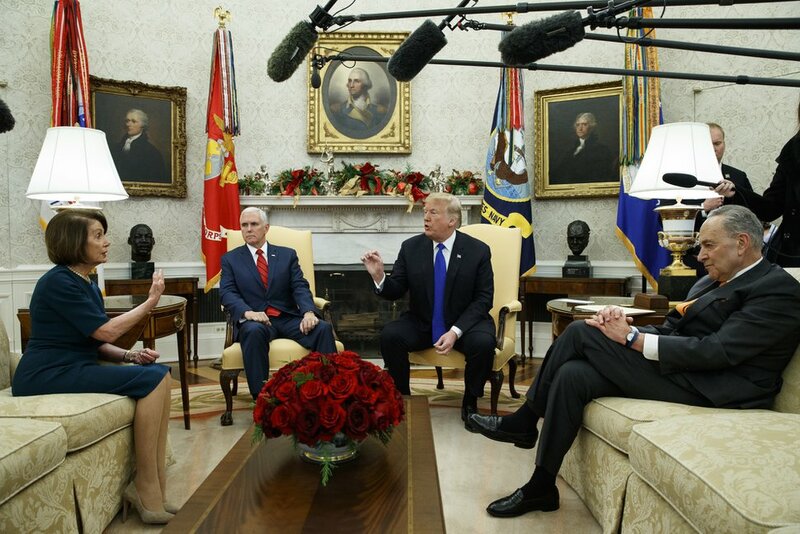 (Evan Vucci | AP file photo) In this Tuesday, Dec. 11, 2018 file photo, House Minority Leader Rep. Nancy Pelosi, D-Calif., Vice President Mike Pence, President Donald Trump, and Senate Minority Leader Chuck Schumer, D-N.Y., argue during a meeting in the Oval Office of the White House in Washington. Trump’s comments came a day after he walked out of a negotiating meeting with congressional leaders — “I said bye-bye,” he tweeted afterward — as efforts to reopen the government fell into deeper disarray. "I think the meeting was a setup so he could walk out," she said. 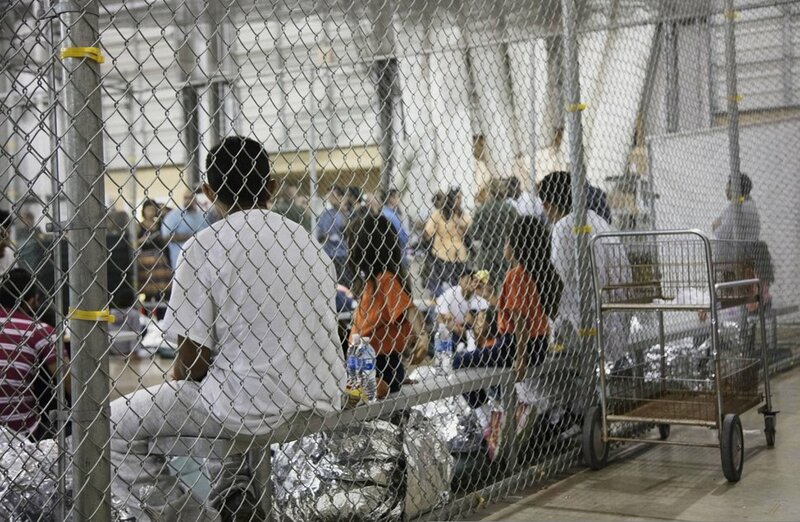 (U.S. Customs and Border Protection's Rio Grande Valley Sector via AP) In this June 17, 2018 file photo provided by U.S. Customs and Border Protection, people who've been taken into custody related to cases of illegal entry into the United States, sit in one of the cages at a facility in McAllen, Texas. Records obtained by The Associated Press highlight some of the problems that plague government facilities for immigrant youth.